NEMRUT The region that lies between the Taurus Mountains and the Euphrates was called Commagene during the Greek and Roman periods. Commagene was established originally as an independent kingdom in 162 BC by Mithridates Kalinikos. I. Mithridates brought together Persians and Macedonians and other communities in the area to form this powerful state and named it Commagene, which means "community of genes" in Greek. The kingdom was at the height of its splendor during the period of King Antiochos I (69-36 B.C. ), who succeeded Mithridates. Most of the archeological remains which survive to our times, including the tumulus at the peak of Nemrut Dag, which still refuses to reveal all its secrets, are from the time of Antiochos I. At the cone shape summit of this 2,200m elevated mountain one can find statues mythical figures of Apollon, Zeus, Hercules and others. These gigantic heads fallen from the tomb of the obscure Commagene king Antiochus, stare at you silenty for more than 2000 years and were first found in 1881 by Karl Sester, a German archeologist. They are carved around 63 B.C during the reign of Antiochus-I, the emperor of the Commagene King. Here you can wonder around the cone shape, a man made summit, where Antiochus' tumulus was located which were hidden under the man made limestone dome. In 1987, Nemrut mountain became a member of UNESCO World Heriage list. It is also a National park. We will depart from hotel very early in the morning up to the ruins. At the end of the road, we will get off the van and walk twenty five minutes until the summit. Here we will watch the beautiful sun rise between the colossal size statues and heads of the kings and Gods. After sun rise, your guide will give information about Commagene Kingdom and the statues while walking around and taking pictures. Then we will drive back to the hotel for breakfast. On the way to hotel we will visit the ruins of the Arsemia Roman bridge of Cendere and Tumulus Tomb of Karakus. We will keep driving to Sanliurfa and Harran. On our way, we will visit the Ataturk Dam which is the biggest dam in Middle east. We will check-in to our hotel in Sanliurfa and have our lunch here. After the lunch we will visit Abraham's Cave and the Pools of Holy Carp surrounding it. We will than walk around oriental covered bazaar and drive to Harran a village of Spellbinding Mud-Brick "beehive" houses mentioned in the book of genesis where Abraham spent the last years of his life. After visiting the ruins of Harran including city walls, oldest Islamic university and the castle dated to 18th century we will drive back to hotel. Dinner and overnight in Sanliurfa. After breakfast we will depart from Sanliurfa to Birecik which is known with its bald-ibis (Kelaynak) birds. These birds are living only in Birecik in the world and there is a very limited population of them. We will visit the breeding farm of Bald Ibis birds. After our lunch, we will drive up to the Taurus Mountains. We will have a short tea break here and drive back to Goreme. 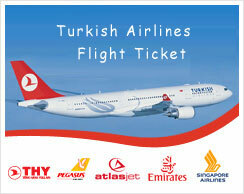 Nemrut Tours have guaranteed departure from Cappadocia on every Monday and Thursday. The tour starts at 08:00 on the first day and finish at 18:00 on the third day. 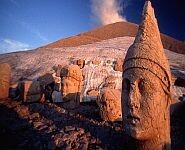 These tours are short version of Classic Nemrut Tour. You will turn back to Cappadocia with a bus on the second day, after your breakfast. We will depart from hotel very early in the morning up to the ruins. At the end of the road, we will get off the van and walk twenty five minutes until the summit. Here we will watch the beautiful sun rise between the colossal size statues and heads of the kings and Gods. After sun rise, your guide will give information about Commagene Kingdom and the statues while walking around and taking pictures. Then we will drive back to the hotel for breakfast. On the way to hotel we will visit the ruins of the Arsemia Roman bridge of Cendere and Tumulus Tomb of Karakus. After having your breakfast, we will drop you in the bus station, to take the bus to Goreme. You will be back in Goreme or other towns of Cappadocia around 19:00.